paddle boating, rafting,kayaking and more! 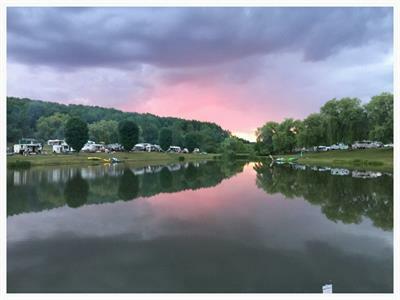 There is no end of things to do at Country Hills Campground. In camp, you can boat or fish in the peaceful pond. Bask in the sun's warm glow while reading a book or lie under a tree and take a nap. We even have a volleyball court and a play area for the kids. Trails for hiking and biking are easy to find near our New York campground. With our rugged mountain setting and idyllic local countryside, there are always new places to explore. 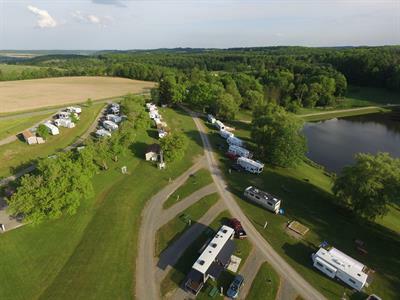 Make Country Hills Campground into your base camp while you head out to tour the local cities and see the landmarks. Our park is near attractions like the Binghamton Zoo, Tioga Downs Casino, and the Cobblestone Farm Winery. Baseball fans will certainly want to head to the National Baseball Hall of Fame and Museum in Cooperstown, NY. 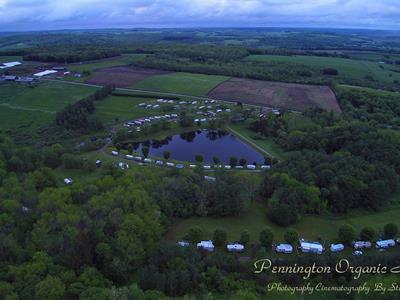 Many fairs and festivals take place very near Country Hills Campground, including The Great New York State Fair, one of the largest in the United States. Year round, you will be able to find at least one festival every month, whether it be a fair, grape stomping, racing, or a harvest festival. Visit Binghamton for golfing and skating as well as for holidays celebrations and parties. Go to a mystical ghost calling, or visit the library for a stock of great books. 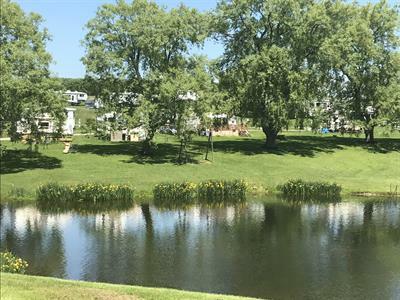 You can stay right in camp at Country Hills Campground and take part in a volley ball game, a day of fishing on our catch-and-release pond, or hiking on our local trails. The nearby Finger Lakes offer plenty of space for boating,and fishing, as well as scenic sights and great driving routes. You can take a day trip to Ithaca, home of Cornell University and the famous Moosewood Restaurant. Whatever you choose to do, we know you're going to have a great time New York camping with us!